A few missing teeth have a major impact on your appearance. 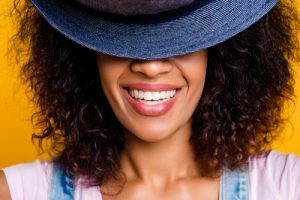 If you’re embarrassed to smile wide or feel like people are always distracted by the holes in your smile, it’s time to figure out how to make this problem go away. Restorative dentistry from your NYC dentist is customized to your unique oral health needs, whether the right solution is a porcelain bridge, dental implant, or otherwise. If you’re missing one tooth, a dental implant can take the place of that tooth from root to crown. If you’re missing several teeth, sometimes one dental implant is enough or two dental implants get the job done. Your dentist will tell you for sure what the best option is. Either way, this procedure requires two visits to your Manhattan restorative dentist. During the first visit the root of the implant is surgically put in place. After several weeks or even months of healing to ensure that the implant has fused with the jawbone and healed properly, the second appointment will be made. At this time, your permanent prosthetic tooth will be attached to the implant. What dental implants offer are security and a natural appearance. The crowns are matched in color, shape, and size so they blend in with the rest of your teeth, never standing out but merely blending in to your smile and completing it beautifully. It’s essential that your oral health be in good condition for the implants to work. Your gums must be free of periodontal disease and your jaw must be strong enough to receive the implants. Will a Porcelain Bridge Work for You? Porcelain fixed dental bridges are a viable option when you are missing a few teeth in one area of your mouth. The bridge is clasped to the two teeth that form the parentheses around the gap and anchored in place on either end with porcelain crowns. The restoration is then fixed on top of the bridge to completely fill the hole in your smile. A bridge is far less-invasive solution than a dental implant. It is secure and long-lasting with proper care and is often more budget-friendly than an implant. Bridges are typically made of all porcelain or porcelain fused to metal. In either situation, the meticulous placement of the bridge by an experienced Manhattan dentist will ensure that the restoration looks natural. It doesn’t matter how old you are – missing teeth do not discriminate. Thank goodness dental restorations don’t discriminate either. 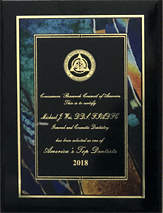 If you lost a tooth because of an accident, sports injury, or other trauma, if you had infected teeth extracted, or if your adult teeth never erupted, there is a solution for your smile makeover. 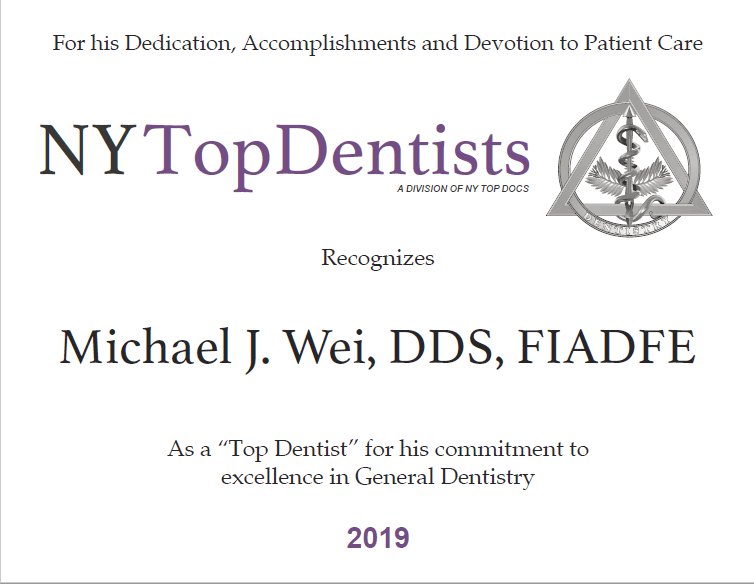 Contact Dr. Michael J. Wei at his Madison Avenue office in Midtown to schedule your appointment and complete your smile.